On the 1st of April 2014, 77-year old Shirley Stojak bought a $10 scratch-off Illinois lottery jackpot ticket from Jewel Osco in Niles, where she worked as a cashier for nearly 15 years, for her son Daniel Stojak. 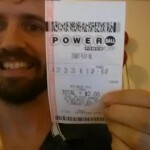 Daniel constantly requested his mother to buy him tickets because he considered her to be very lucky after having won $10,000 from a ticket she had once purchased. 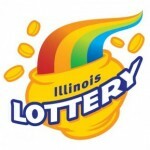 The Illinois lottery jackpot ticket that Shirley purchased on the 1st of April 2014 ended up being worth a whopping $2.5 million. 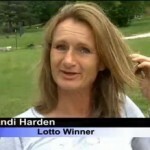 Shirley, who couldn’t stop shaking, always dreamed of winning a lottery, but she never thought it would happen to her. As soon as she found out that her 46-year old son won the $2.5 million Illinois lottery jackpot from the ticket she had purchased, she called him immediately to share the miraculous news. Daniel, like any other person, thought his mother was playing an April Fool’s Day prank on him, but when he found out the reality after visiting the Illinois lottery jackpot site, he mentioned that not only was he a little shocked but he also couldn’t sleep for a few days!When asked what he plans to do with the money, he stated that he would travel, repair his home, purchase a new car and treat his mother. 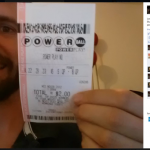 Daniel, who had planned to take his mother to a riverboat to gamble before he won the Illinois lottery jackpot, will also take her out for dinner along with a trip to the jewelry store. 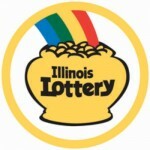 As for the lottery prize, while Daniel chose the cash option of a staggering $1.5 million (excluding tax), the Jewel Osco store received a bonus of $25,000 for selling the winning Illinois lottery jackpot ticket. Shirley Stojak, upon proving her luck with lottery tickets, has reportedly received numerous requests from people asking her to buy tickets for them. She claimed that people come up, rub her and request her to give them some luck! Daniel Stojak, who has requested his mother to stop working, has super special plans to celebrate Mother’s Day with his mother Shirley Stojak. Mother’s Day, this year, will be extra special for super lucky mom Shirley Stojak!